It's going down another BIG Concert in the 518. 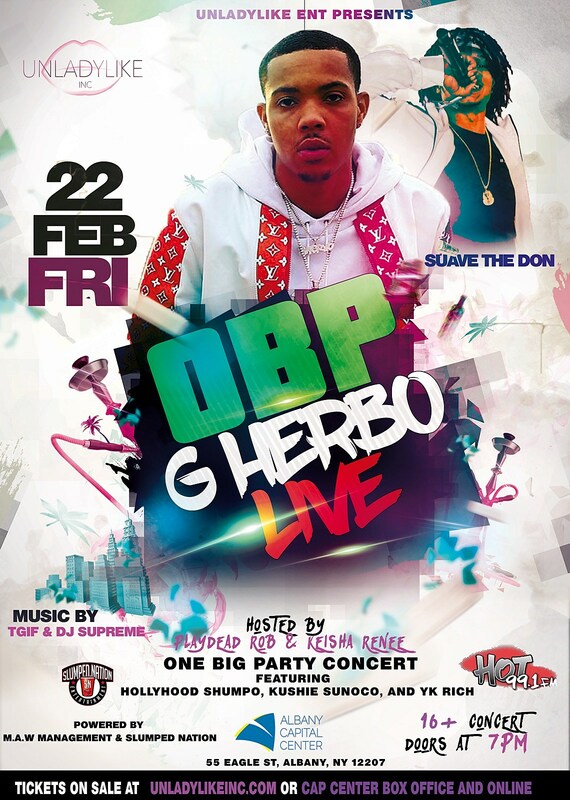 G Herbo will be live at the Albany Capital Center Friday, Feb. 22nd. 16 and up to attend the concert. Some of Albany's elite will be performing as well. Suave The Don, Kushie Sunoco, Holly Hoodshumpo and Yk Rich will hit the stage that night as well. The concert is tomorrow and today we've got one last chance for you to score your tickets with the Hot 99.1 App. Get the app today and check out the main screen to learn how to win.